A village woman carries a pot to the market in Lira district, north of Uganda’s capital, Kampala. According to a UN report; In agriculture, sub-Saharan Africa’s most vital economic sector, women contribute 60–80 per cent of labour in food production, both for household consumption and for sale. But while they do most of the work, they lack access to markets and credit. In Uganda, women make up 53 per cent of the labour force, but only sell 11 per cent of the cash crops. This is real Ugandan beauty as it exists. If inequality among the rural poor is not checked, there is likely to be more trouble. True democracy is vital . Thanks Menya…It made it to WordPress front page..
And yet despite the ever day inequality she faces, she radiates an inner beauty rarely seen. Great photo. Speechless. The colors, her smile – a moment in precious time. http://www.imagine1day.org is currently doing fantastic work in Ethiopia helping rural communities to help themselves create and build schools for those who otherwise get left behind. As a result the girls (who normally are left to stay and work at home) are able to continue their education with the opportunity for secondary education. We are seeing their success presently. And these rural communities are raising themselves up without depending on handouts. It is a win-win situation. Perhaps it is a model that might work in Uganda too. Beautiful photo. I’d love to see culture like this someday and experience Africa. Incredible. You should join a volunteer program that lets you work and integrate into the communities and help them at the same time. Depending where you are in the world, you could organize it yourself or through an organisation called “bemore”. We have volunteers coming to us for a program called Let Us Work, where they help people to start up businesses in rural KZN South Africa, helping to build vegetable tunnels etc. There are many organisations that take international volunteers. I will delighted to welcome you to Uganda!!.. just drop me a line!!.. wow! That is a very beautiful picture of a beautiful woman. Also, Uganda is one of the few countries in the world where the speaker of parliament is a woman, and they have at least had more female representatives in the past than almost any European country or the USA at the same time for that matter.. Rarely businesswomen get to represent African countries in photos! While rural women´s work is hard and should be brought to light I sometimes feel that I would like to see a more balanced picture of African countries in general. There are other things to see but war, poverty and rural areas. That said, I still think this is a beautiful photo and a good point bringing up the value of women´s work, without which the world would come to an economical standstill. What a gorgeous woman! That’s a terrible statistic, but somehow her radiance and pride just show through, no matter how tough her circumstances. I think we could learn a lot from this nameless woman. Wonderful shot, you captured an intimate moment of happiness. thank you. Indeed. Inspite of all the problems she faces, the smile wipes it all away! Beautiful photo and gorgeous woman. She’s actually a mother…on her back is a better she was carrying! Wow so beautiful. You really captured this well. Congrats on being freshly pressed!! Beautiful shot & great concise info. Thanks. This photo is stunning; the colours are great! beautiful shot… love the colors, her expression… loved everything… miss Africa so much… would go back on a heartbeat! 😮 Congratulations! Thank you Grace.. Fully appreciated! Very good pic. Thanks for the information as well. The world is connected – whether we realize it or not. i like the way you state that fact…We are indeed connected! Great depiction, I hope you don’t mind that I linked it. Awesome job!!!! gorgeous picture! love the look she is giving, you captured a moment! Magnificent !! Great Photo !! A real woman of gorgeousness, simplicity and beauty represents the true culture of Uganda. Dark beauties are now attractive to all people of the world like the prominent judges of the miss universe beauty pageant who rendered wise judgment in favor of miss Angola now newly crowned Miss Universe 2011. Our candidate from the Philippines, Miss Chamcey Supsup ranked no. 3, the Filipino people are happy with her. Thanks for the kind words. How i wish she could have a chance to read this. Wow..thanks for sharing the philippino love here! please, i look forward to your next visit! Beautiful. I love the colours. African women usually have amazing colours! Great shot… as has been said, a beautiful photo of a beautiful woman. …by the way, congrats for being Freshly Pressed. Such an invoking photograph. You captured the beauty of a culture and a woman. As they say, a picture is worth more than a thousand words……thank you for sharing. and thank you for leaving behind such an embracing comment! I really miss my days in Africa. Such lovely people and wonderful culture! You can always come back. The people are embracing and warm to visitors. I love the genuine joy you captured in her face. I grew up in Zimbabwe, and miss how content people are in general, despite how little they have materially. Life seems to be more petty, and less joyful here in the USA. Inspite of all the troubles most africans face, they are some of the happiest people in the world..That i can testify! Do the women there have exposed clitorati? What a great picture. The woman is very attractive, and I love that her arms are so strong. I wish I could balance anything on my head (anything but a hat falls off within moments), and that pot is gigantic. Her shy smile is priceless. May He preserve it, her and her people. Beautiful in all aspects ! The woman, the shot and the colors. indeed. thats the most important…despite the challenges, she embraces all with a smile! Interesting shot. The portion on the right corner could have been spared, but having it on the picture is letting the picture as-is, a la natural. I guess that’s how things are like in the nature, and that’s how they look, lovely and beautiful. Thanks so much for sharing the picture with us. BEAUTIFUL! Going to Africa changed my life… I miss Her every day. Incredible photo! Thanks for posting! can imagine the life of africa women. One of great challenges but one of respect too.. The woman is so vibrant. Her radiance and dedication can be seen through in this photograph. A photograph is true and picture perfect. Great Work at that. Indeed. She speaks to the soul! i dont know which language this is but thanks for the thumbs up! so grateful to discover your blog, deeply moving. Fantastic shot. Well done being freshly pressed. Love this photo and appreciate the accompanying caption! Congrats on being “Freshly Pressed”!! Absolutely beautiful ! Great photo ! Eddie you are doing great work…. Show the world what international media ignores …pure African beauty. OB, you do me proud…we still need to get you to 8th Street! The essence of beauty! Great work! And thank you for visiting my blog. I appreciate so much! Although just posting the photo itself would have been moving and powerful, I’m SO glad that you added the facts relating to the contribution of women in African society – it’s something that most people wouldn’t know, and it makes the photo all the more meaningful. Thank you and congratulations on being Freshly Pressed! I try as much as possible to point out loopholes that can be worked upon to improve the lives of people who literally drive the African economy.. Strength and Beauty…What a glow. Make it happen in this life not the next. Great picture!!! I just returned from Sri Lanka and didnt even think to take some culture pictures like this! Thanks for bringing such beauty to the internet. This picture captures youth and distinct colors that blend well . Her black is beautiful, but not the struggle. I feel like this pic describes hope even through great hardship. It just blends in so well I can’t find the words to describe it. You captured an amazing moment! You know a lot has been said about Africa. In most cases, negative but i tried to represent her hardship in the most graceful ways…Positive stories can come out of Africa. See pictures and stories like this, makes me all the more appreciative of the “life style” that our country offers in opportunities to each and every one of us, up to and including our current President who never held down a real job in his entire life. Thank you for leaving behind a diverse comment.. I just open my word press and I saw this shot,she’s beautiful….Great shot!!! I wish to visit your country someday…..
Keep it up!!! Cheers from Philippines….. Please, whenever you wanna visit Uganda, dont hesitate to email me…I can help introduce you to this beautiful country! Despite her life – she radiates beauty AND peace. People with more wealth can seldom do that…I like it! Indeed..Like they say, a rich man is never happy! Very nice blog and pictures ! Her skin is luminous…her jewelry’s tasteful…the colors are vibrant. Why can’t America share this same sensibility when it comes to female beauty? She is gorgeous. What a lovely photo. Thank you for posting. I want to see more! Proud of you my boy. And thank you for showing the world that Africa is not only about suffering, disease and killing each other. We also love, laugh and live – Happily. This is a wonderful photo. I love this woman’s joy, beauty and honest determination to prevail over her situation. And congs upon getting freshly pressed. Blessings!!! I am definitely smiling. Totally! Pingback: Photo of the Day: African Woman (via Echwalu Photography) « José Fuentes disse que! Beautiful picture of an amazing woman. What’s more interesting is what the caption reads in that women make up the majority of the labor force, but receive less in compensation. Amazing photo, proud of her. Reminds me of when I use to carry a 20 litre jerrycan of water. I love my roots. Beautiful langi woman. what a good and fantastic photo ……….i really never seen that stylist photo in my life …………i like this photos…………..
Godwin Dzaho reblogged this from kwakudzaho. Please post other pictures not only beautiful ladies but also wild animals and natural resources because it is as if we are already visiting your beautiful country. I am very much inspired with your country especially your beautiful ladies. Thanks and God bless. rather refreshing. Even so, I appologize, but I do not subscribe to your entire idea, all be it refreshing none the less. It would seem to everybody that your opinions are not totally validated and in actuality you are your self not really wholly convinced of the point. In any case I did appreciate reading through it. Gorgeous photo. I love all the colors and the shadow of a smile on the woman’s face. The world needs to be exposed to the beauty of the cultures that exist in Africa. Some things are beautiful but make you weep at the same time. The colours are really beautiful and I love the smile on that woman’s face! 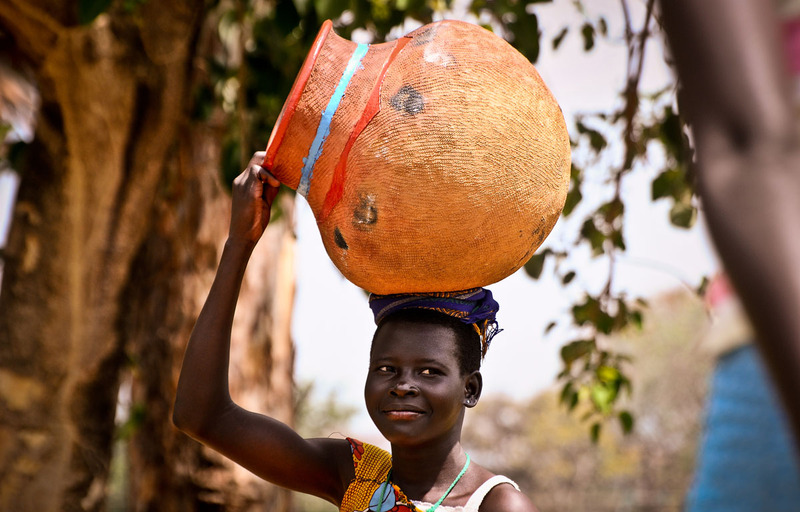 This is the face of Africa, beautiful photograph, and thank you for showing the plight of women in sub saharan Africa. I have a heart for this!